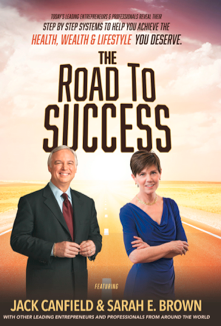 Road To Success – Order a Copy! In the world of personal fulfillment and success there are few names more recognizable than Jack Canfield of the Chicken Soup for the Soul Series. Jack Canfield has shared his expertise with millions and I have had the privilege to co-author with him and some of the best thought leaders from across the country. Order a Copy from Amazon!